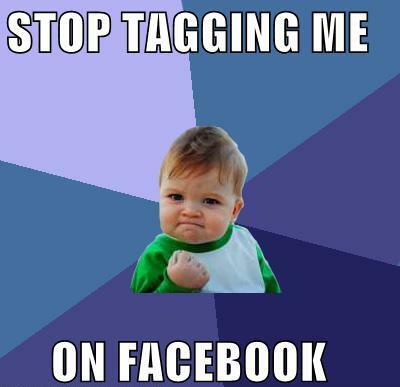 Do you unnecessarily get tagged on photos on Facebook? Its quite annoying to see photos I am not in or know anything about appearing on my Facebook wall because I was tagged on it by a friend. Some of the photos are disturbing in nature, some are quite pornographic. Facebook allows tagging of friends on photos, videos, places and posts. It is ok if the tagging is meaningful but very annoying when it is unnecessary. You can’t block your friends because they tagged you on photos of course. So I am going to show you how you can avoid being tagged on Facebook photos and how you can avoid the unnecessary notifications about others comments on such photos. 1. 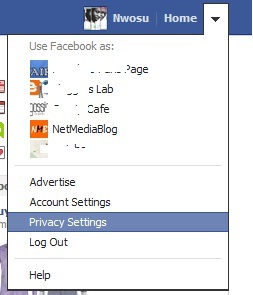 First, login to your Facebook account and click on the “Account” tab and choose “Privacy Settings” from the drop down. 2. In the next step, click on the “edit settings” under the Timeline and Tagging section as highlighted on the image below. 3. 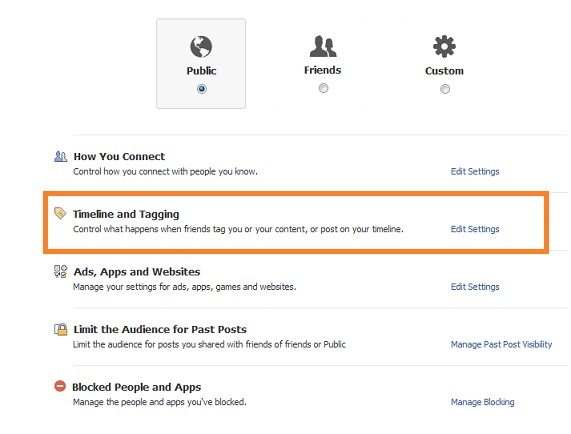 Then the Timeline and tagging settings will appear, click on the “Off” under “Review posts friends tag you in before they appear on your timeline”. 4. 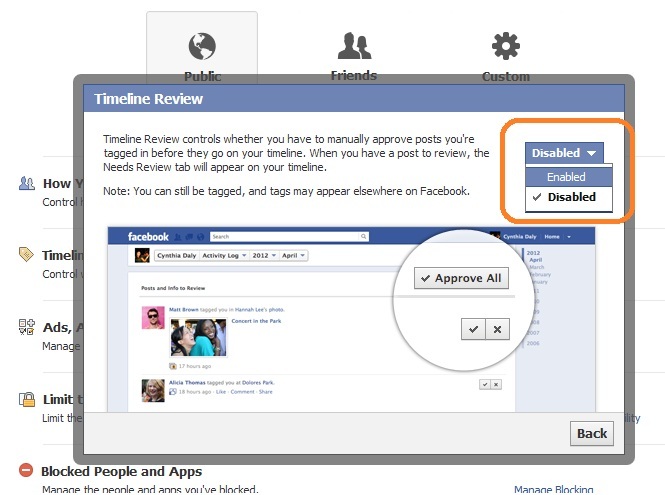 Then the Timeline review settings will appear next, click on the “disable” button and choose “Enable” and click the back button to go back to the Timeline and tagging settings. Then click the “Done” button under. 5. 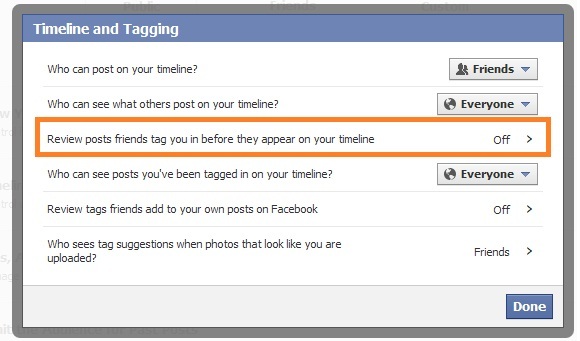 Now i hope you can be able to stop all the unnecessary photo, video, post, life event tagging on Facebook. If you find above post on “How to stop being unnecessarily tagged on photos on Facebook” interesting and useful, please share this post with your friends using the share tools on the left hand side of the browser or the ones under this post. Please if you haven’t liked our Facebook page simply click on the “Like” button on the right hand side of the browser. You can also follow us on Twitter right under the Facebook page. I hope you read my blog post on “How to tag a friend in a Facebook post“. Use the subscription box below to subscribe to my feed by email so you can be getting more of my posts on your email even when you are offline.